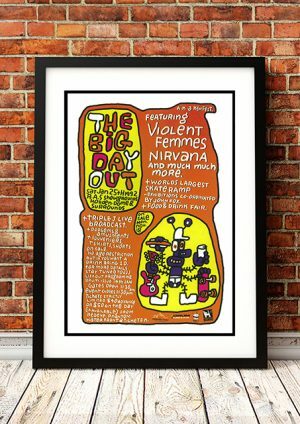 Classic Violent Femmes Band Concert Posters and Memorabilia! Buy Online Now! The textbook American cult band of the 1980s, the Violent Femmes captured the essence of teen angst with remarkable precision; raw and jittery, the trio’s music found little commercial success but nonetheless emerged as the soundtrack for the lives of troubled adolescents the world over. The group formed in Milwaukee, Wisconsin in the early ’80s, and comprised singer/guitarist Gordon Gano, bassist Brian Ritchie, and percussionist Victor DeLorenzo. Ritchie originated the band’s oxymoronic name, adopting the word “femme” from the Milwaukee area’s slang for wimps. Though never a chart hit, the album remained a rite of passage for succeeding generations of teen outsiders, and after close to a decade in release, it finally achieved platinum status. 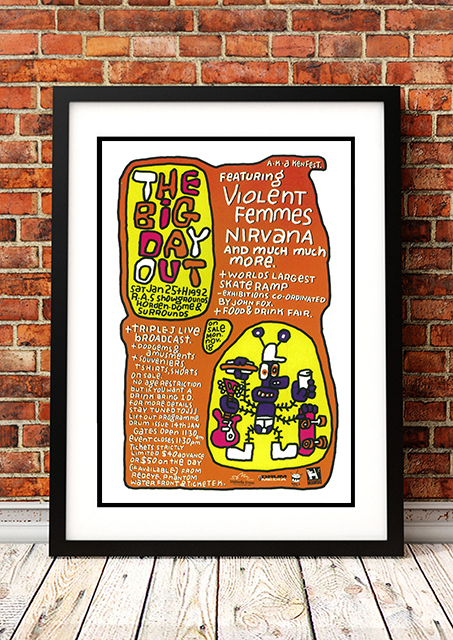 We stock some awesome Violent Femmes Band Concert Posters.